Come and join us for an incredible lesson in slowing down to the speed of mother nature. This is quality time for the whole family as we have no age limit here! Caballos is Horse in Spanish. Our herd are incredible teachers who love to share their secrets with people that are open and willing to delve into the world of the horse. 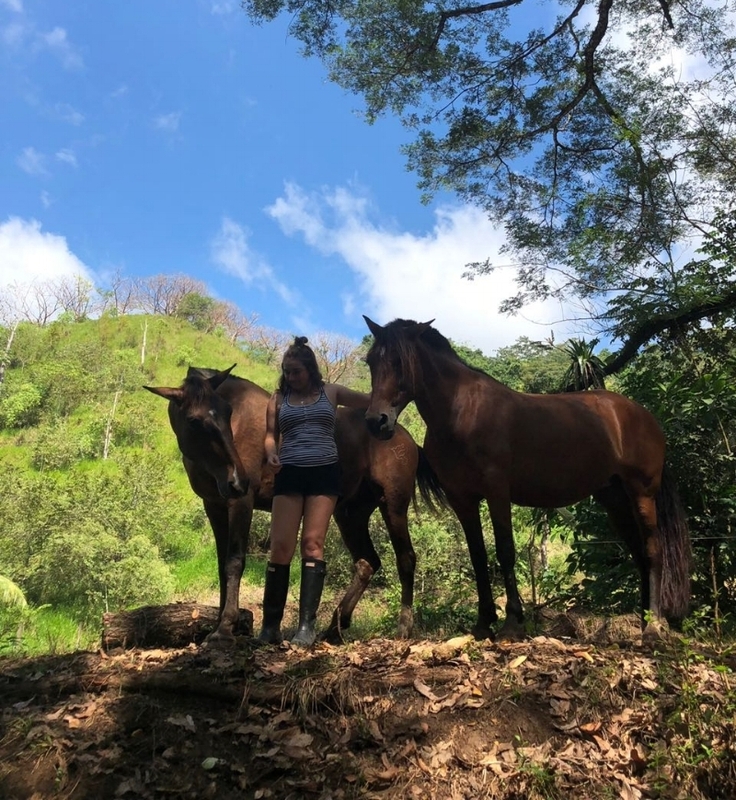 Do you or someone you know think they can benefit from spending time in nature surrounded by horses? Whether it be a life change, nature deficit, a disorder , a child with special needs or just wanting to connect back to mother earth, this will be time well spent! Horses and nature are know to heal and calm the soul. Get to know yourself and how to connect with everything around you. Discover how you can openly communicate with the horse in a non invasive, positive way while gaining insight and healing the person within you. Warning... this can seriously change your life for the better! Everyone has fun connecting with the horses, even the horses! You will find yourself reevaluating all your personal interactions in life, from your friends and family to animals alike, even down to how you view yourself! Ready to take the plunge? Our lessons are conducted with the horses at liberty, the joy of them joining you in the dance is indescribable! CASH ONLY! NO CREDIT OR DEBIT AVAILABLE. NO AGE LIMIT! Even babies benefit from this time!